As an early birthday excursion, my girlfriends took me to the Art Gallery of Ontario to see the Ai Weiwei exhibition. I’ve mentioned this wonderful artist before and, seeing the show, I was moved by his powerful art. His most meaningful pieces were those created in response to the Sichuan earthquake of 2008. He was outraged at how the Chinese government tried to cover up the number of deaths and failed to investigate the corruption that accounted for so many buildings being destroyed. His most powerful pieces commemorate the 5200 students whose lives were lost in the disaster. But his sense of mischief is evident in many of the other pieces, including photos depicting him deliberately breaking a 2000-year old vase, or giving the finger to famous world landmarks. All of these works have a purpose behind them, and that purpose is usually to challenge authority and to give a voice to the underrepresented. Having seen and enjoyed the wonderful exhibition, we then went to a nearby restaurant for lunch. For dessert, we split a sticky toffee pudding, after which one of my friends challenged me to make my own variation at home. Challenge accepted, Karen! Preheat the oven to 350 degrees. Grease and flour 4 4-ounce ramekins. Line the bottom of each with a round of parchment paper. Place the ramekins in a baking dish large enough to hold them all comfortably. In a liquid measuring cup, combine the water, baking soda and half of the dates, pressing the dates down so they’re submerged. Set aside and let soak five minutes. Drain, reserving the excess liquid. In a separate medium bowl, combine the flour, baking powder and salt. In the bowl of a stand mixer, combine the remaining dates and the brown sugar. Mix to combine. Add the reserved soaking liquid, the egg and vanilla. Mix until smooth. With the beaters on low, pour the melted butter into the mixture in a steady stream. Add the dry ingredients and the drained dates to the wet ingredient mixture. Fold together until all ingredients are well mixed, being careful not to overmix. Divide the batter evenly between the prepared ramekins. Use hot water to fill the baking dish halfway up the sides of the ramekins. Cover the entire pan tightly with foil and bake until the cakes are slightly puffed, about 40 minutes. Immediately remove from the water bath (being careful to avoid steam when removing the foil) and transfer to a wire rack to cool. While the cakes cool slightly, make the toffee sauce by combining the butter and sugar in a small saucepan over medium heat. Whisk the sugar into the butter. Continue to cook, stirring occasionally, until the sugar is dissolved and the mixture puffs up a bit. Slowly pour in the cream and rum, whisking just until combined. Reduce heat to medium-low and maintain heat until warmed through, about 2 – 3 minutes. Happy Belated Birthday, Beth!! I have always wanted to make toffee pudding but I couldn't pin point a recipe that looked achievable…this looks too good to pass up. You can never have too many events to celebrate your birthday! This sticky toffee pudding looks wonderful. I'd happily slurp it up! Good stuff – thanks. Happy Birthday! I'm not surprised you were up to recipe challenge. This sounds delicious. Looks fantastic! I can't remember where, but sticky toffee pudding came up the other day and I've been thinking about it. It would be a great fall dessert. I bet that exhibit was just so cool! I love learning about things with such meaning behind them. It's always a treat! I never had Toffee Pudding but it looks delicious, have got to try it! Looks like such a fun birthday celebration! And that toffee pudding looks SOOOO good! I was intrigued by your mention of the artist and read your other post where you also talk about him. His views raise a number of questions about art's place in the world today. There's no easy answer though. I'm sure both you and your sticky toffee pudding rose to the challenge. I love the stuff but have never managed to make one. Happy birthday! Sounds like a wonderful way to celebrate your birthday, Beth! Your sticky toffee pudding sounds like pure deliciousness! Happy Birthday! What a sweet gift! Your friends know you quite well. 😛 And YUM to this pudding! Such a tasty treat! I am so glad that you had a wonderful birthday celebration with your friends. The sticky pudding looks so yum! Happy Birthday! Sounds like a great day. And, I love sticky toffee pudding. I'll be craving it now! nice way to kick off the birthday celebrations! i often wish i had even an ounce of artistic talent, but alas, i just don't. 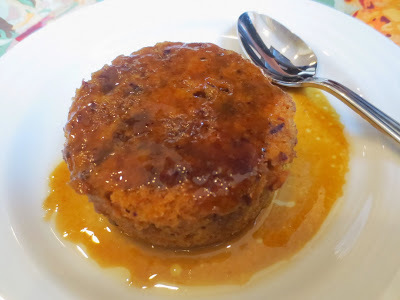 sticky toffee pudding continues to be a favorite of mine–great recipe! There are so many people suffering in this world at all time and chances are that they will continue to suffer until they die. I feel so sad and helpless about this. This pudding somehow would sooth my feelings! Happy birthday, Beth! I think sticky pudding is the perfect way to celebrate! Happy Birthday–what a wonderful day! I have heard of sticky pudding and been tempted to try it but never had the push. Looks delicious! I haven't treated myself to an art gallery or museum in years. I miss that; we have a lot here on the cape but their is no diversity—they are all of the ocean, which is nice but I like going to museums to see other creations. Ha! Happy birthday! That pudding looks amazing – so glad you recreated it at home! And the art exhibition sounds wonderful. 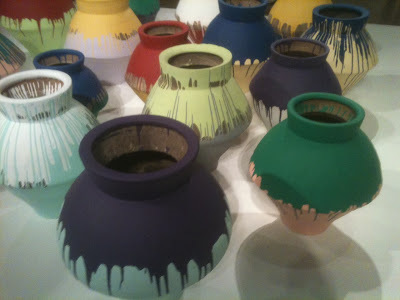 It reminds me that I haven't been our art museum since Baby was born – might have to plan a visit (maybe even with Baby!) soon!